Taking a queue from the long running series over at Vuvuzle, I decided it was a good time to reflect on some of my own trends from the past year. Since traveling is my passion, that’s going to be the sole focus here. Six (6), the number of new countries that I managed to visit in 2018, bringing my lifetime total to 39 countries. In 2018, I visited Sri Lanka, Singapore, Senegal, Mauritania, The Gambia & Guinea Bissau, all for the first time. Excluding Europe (which often feels like a huge cheat when you can easily & effortlessly visit a half dozen countries in a single day), this is my biggest single year new total since 2013, when I visited 5 new countries (Curaçao, Aruba, Finland, Estonia & Australia). 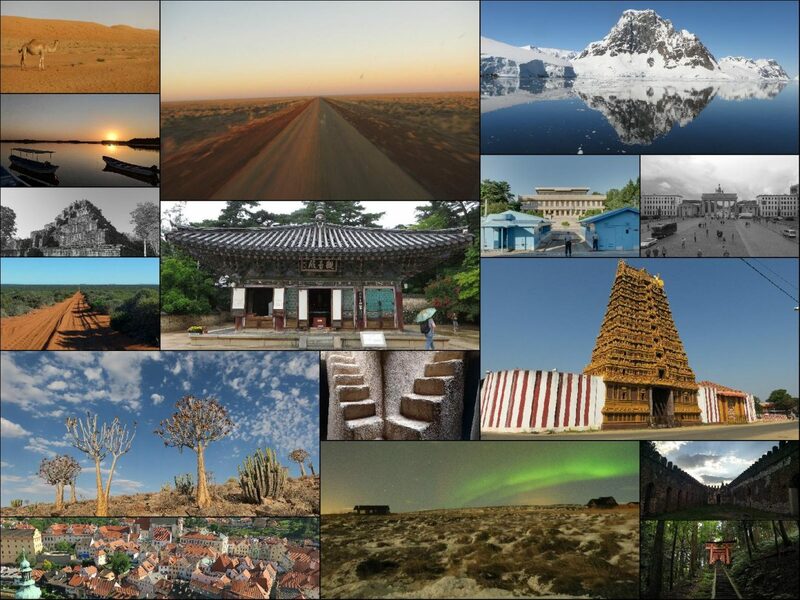 Third place goes to 2015, when I visited 4 new nations, Cambodia, Germany, Argentina & Antarctica. If I remove the European exclusion rule, then 2017 is the reigning champ, with 8 new countries, Iran, Czechia, Austria, Hungary, Slovakia, Poland, Ethiopia & Iceland. 2019 is promising to be an even bigger year, if everything currently being planned falls into place. I will likely visit 7 new countries in 2019. I’m not telling what they are now. Four (4), the number of times that I entered the same country this year. Senegal holds that honor. Due to the crazy logistics of this year’s West Africa trip, I officially entered Senegal four separate time (each time with a new passport entry (and later, exit) stamp. Thankfully, Senegal was visa free for Americans, so it cost me nothing. This is still kinda ridiculous when you consider how most Americans never visit any African countries at all, and I’ve been to one of them 4 times. Senegal also wins the award for the most times entering the same country in any single year. China comes in second place with two separate entries way back in 2011. In terms of lifetime totals, Canada is still in first place, with 6 separate entries. The sixth actually happened this year, with a visit to Vancouver, British Columbia back in October. Prior to that, Canada was tied with China with 5 lifetime entries. Five (5), the number of separate trips that I took outside the US this year. Sri Lanka/Singapore, Thailand, Western Australia, Canada, and West Africa. That’s a record high (I have a few years with 4 trips), and the only reason it worked out that way was because I had a business trip to Canada. Barring some weird, crazy lifestyle/career change, its extremely unlikely this record will be broken any time soon, as I mostly stick to doing 3 big trips each year. Fifteen (15), the lifetime number of times that I’ve traveled to Asia, with the most recent two happening earlier this year (Sri Lanka, and Thailand). Asia is continent that I’ve visited more than any other. Second place is Europe, with just 6 trips (the most recent was last year). Third place is Africa, with 4 separate trips. After that, its been 2 trips each for Australia & South America. Airlines are weird. Primarily because I visit so many different parts of the world, I’ve not really flown any single airline significantly more than the rest. The only clear stand out is Singapore Air, with 4 separate bookings, the most recent was this year, going to Sri Lanka. The previous 3 were all to South Korea. After that, there’s barely any trend, with 2 trips on Lufthansa (one to central Europe, and the other to Iran, both last year). I also had 2 trips on SAS, way back in 2013 (Finland) and 2012 (Norway). And 2 trips on AeroMexico (its a truly awful airline, btw). The rest are all one-offs on a crazy assortment of airlines from every corner of the world. It was an amazing year for travel (not so much in other ways). I’m looking forward to 2019.